Ce documentaire est basé sur les principaux événements survenus au Liban depuis la fin de la guerre civile. "Tout ça et plus" est un voyage à travers les images vidéo que produit le Liban moderne, un pays écartelé entre plaisir des sens, messages guerriers et amnésie. Based on the main events that took place in Lebanon since the end of civil war, it’s is a journey through the icons of modern Lebanon: a country torn between violence, lust and amnesia. 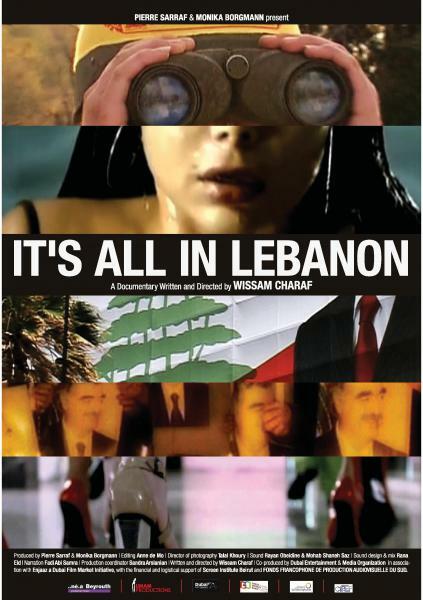 Wissam Charaf traces the recent history and identity of Lebanon through its political campaigns, PR imagery and pop videos. And most importantly, how has Lebanon fared in nation-building – through image-making – over the 20 years since the Civil War ended? A must-see for all those involved in politics, advertising, public relations and the media.